How bad were the Ukrainian elections? 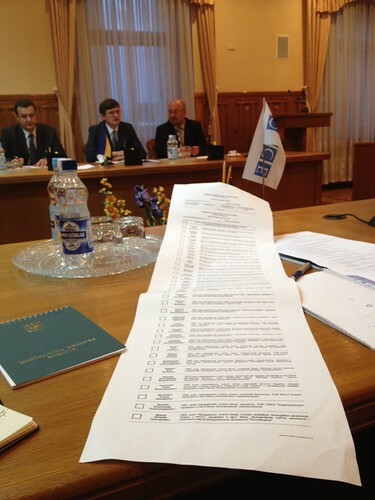 The Ukrainian authorities expected a relatively clean bill of health for the parliamentary elections held on 28 October. Voting day itself was fairly peaceful; there were 3,800 international observers and over 100,000 domestic observers; and the results apparently reflected the exit polls. There was even a trend, in October at least, towards slightly more balanced media coverage. A media monitoring project in which I was myself involved judged that 32% of news in the final week showed a balance of points of view – which is still not a lot, but an improvement from a low base, though the main official First National channel hardly changed.